When people think of professional development, typically the first thing that comes to mind is a room with someone at the front speaking information probably using some type visual aids. And don’t forget the eager participants jotting down notes (or daydreaming if the content isn’t engaging). What if professional development was different? What if professional development mirrored more of John Dewey’s ideology of “learn by doing”? 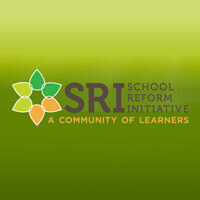 Last fall I volunteered to serve as part of the planning committee for the School Reform Initiative’s Winter Meeting. Then, I pushed my comfort zone even further when I was selected as a facilitator for one of the collaborative learning groups. Taking on those two roles – supporting the planning of a large conference as well as facilitating the bread & butter of the conference – flipped the model of professional development for me. Instead of being a participant at the conference, I found myself crafting the professional development experience of others. Suddenly, I was in meetings with people I admire. Educators who spent years developing the protocols I use daily, whose professional work inspires my practice. At the heart of SRI’s annual conference is discussing problems of practice with a small group of educators, many of whom you may not know. As part of my previous experience as a participant at Winter Meeting, I arrived having prepared my own problem of practice to share & brought with me an open-mind to contribute to my small group. I had invested minimal time prior to the conference & left with great insights for my own practice. But, taking on the role of co-facilitator involved a total immersion in research & collaboration with a total stranger who ended up becoming a dear friend. We spent weeks reading & searching for the perfect articles around equity in our education system & spent considerable time discussing which protocols we should match to which article. Don’t forget the hours spent debating this essential question: How do you build trust within a group of strangers to talk about deep, and sometimes personal, issues like equity and who we are as educators in the skin we are in? When I arrived at Winter Meeting this past year in Denver, I had invested time, energy, & emotion in crafting a transformational experience for our small group. I arrived prepared to have deep and meaningful conversations with others, to push their practice, and to expand my thinking. I was heavily invested in the conference, it’s success, and the experience of others. Once I met Michael Phelps while spending hours waiting for a delayed flight. He’s was a nice enough guy, and I didn’t feel the need to get his autograph or ask for a selfie. But, when I returned home from Winter Meeting after spending time with Daniel Baron, being part of a meeting with Gene Thompson Grove, getting feedback on my facilitation from Beth Graham, Jonett Miniel, and Raquel Diaz, and breaking bread with numerous inspiring educators whose work spans decades, my husband claimed I was the weirdest star struck individual. Sure, Michael Phelps is a pretty amazing athlete, but the people I interacted with at the conference are some of my heroes. Educators dedicating their life to a system I too want to improve for the youth of our country. Had I not pushed myself professionally to volunteer as part of the planning committee and small group facilitators, I would not have had the opportunity to work closely with those people nor would I have had the confidence to seek their feedback. I’ve been thinking a lot about that transformative experience I had at Winter Meeting. At the conclusion of our small group’s session on Saturday morning, our participants shared out the deep and meaningful impact of our discussions. Since Winter Meeting I’ve had the privilege of staying in touch with our small group participants & continuing our discussions around deeper learning & equity. Knowing that my contribution to the conference from the planning committee to the facilitation team resulted in participants leaving feeling empowered and inspired to make change happen in their settings was an incredible high. Not only did I receive feedback from educators I admire further developing my craft, I gained experience planning a national conference, developed long-lasting friendships with educators I admire, and left the conference with a deeper understanding of the issues facing our education system as related to equity because of the prep I had done to craft those conversations. Although the bread & butter of the SRI Winter Meeting remained the same (deep conversations around problems of practice with a small group of strangers), I left with so much more than a few good ideas. This piece written by Dewey strikes me as relevant both in my classroom as well as the spaces in which I am a learner – an eager educator seeking professional development. SRIs annual conference is a professional development experience like no other. I’ve had the opportunity to be both a participant and a facilitator and the experience is truly meaningful. If you are given a chance to be part of planning & facilitating a large conference – take it. Push yourself to learn by doing & grow your professional practice. Administrators and classroom teachers can all benefit from this experience. Hope to see you in Atlanta for the 2017 Fall Meeting! Anastacia Galloway Reed (agalloway@eaglerockschool.org) is a Professional Development Associate at Eagle Rock School and Professional Development. Click here to learn more about Eagle Rock’s Professional Development work. This entry was posted in In The News, News, Professional Development Center. Bookmark the permalink.